Finding aid only for Manuscripts Collection 573. Correspondence and papers of of the Pool, Keel and Beauchamp families of Metcalfe (formerly Barren) County, Kentucky. Includes papers of related families: Mitchell, Clark, Rogers, Cook, Shirley Yates, and others. 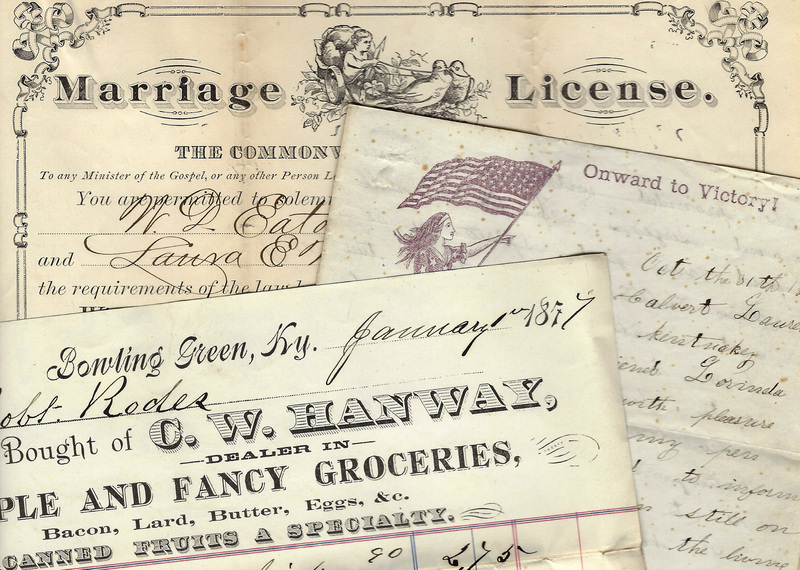 Folklife Archives, Manuscripts &, "Doll, Howard D. and Anne (Parker) Doll (MSS 573)" (2016). MSS Finding Aids. Paper 4164.